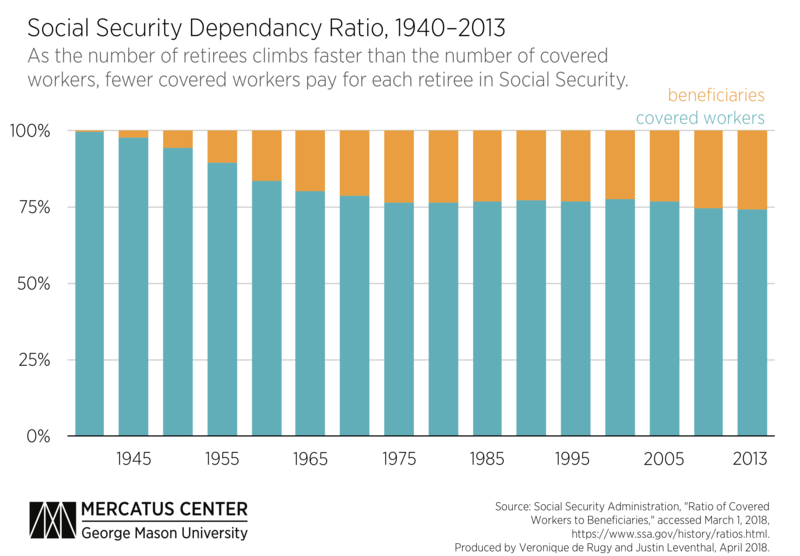 Over its lifetime, the Social Security program has gone from having an abundance of workers per retiree to having fewer than three workers per retiree. This change was partly to be expected, as the first participants in Social Security had to reach retirement age before drawing any benefits. As a result, during the years leading up to retirement of the first participants, the increase in total participants was largely made up of new workers, not beneficiaries. It wasn’t until 1975, 40 years after the establishment of the program, that the growth in beneficiaries was proportional to the growth in workers. The growth in beneficiaries and the growth in workers remained roughly proportional from 1975 through 2008, during which time there were 3.2–3.4 workers for each retiree. However, since 2009 this ratio has consistently dropped, and as of 2013—the most recent year for which data are available—there were only 2.8 workers in the system for each retiree collecting from it. The ratio of workers to retirees is projected to continue falling. 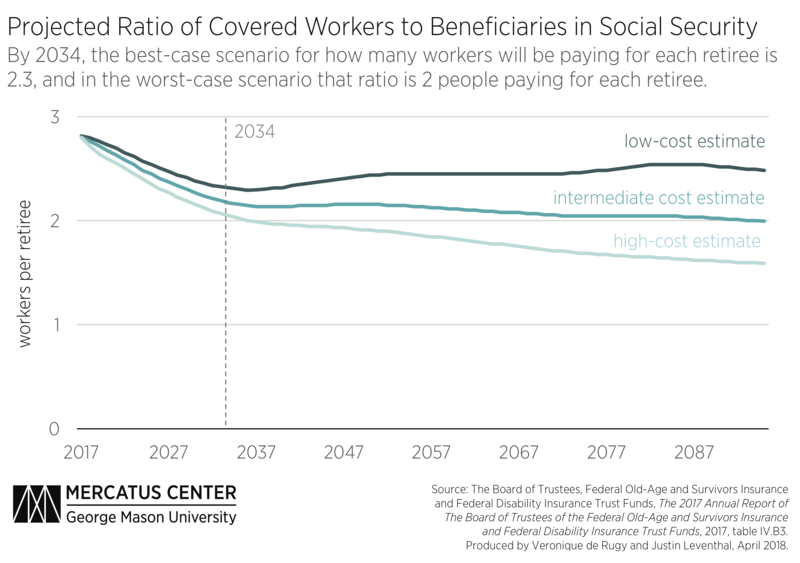 By 2034, the best-case scenario is 2.3 workers paying for each retiree, and in the worst-case scenario that ratio is 2 workers per retiree. The decrease in the ratio of payers to collectors in Social Security helps to explain its current fiscal dilemma. Given that the number of participants collecting from the system has been rising faster than the number paying in, it is unsurprising that the Social Security trust fund is expected to be empty by 2034.